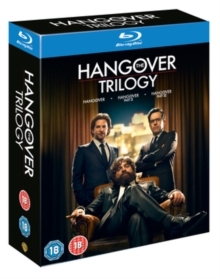 Comedy trilogy from director Todd Phillips. 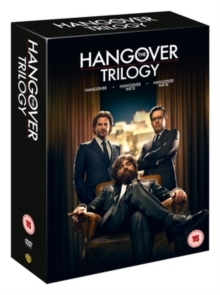 In 'The Hangover' (2009) Ed Helms, Bradley Cooper and Zach Galifianakis star as three friends who lose their best friend, Doug (Justin Bartha), just 40 hours before his wedding during the various drunken misadventures that occur at his Las Vegas bachelor party. The trio must attempt to retrace all the bad decisions they made the night before and figure out where things went wrong. Heather Graham co-stars. 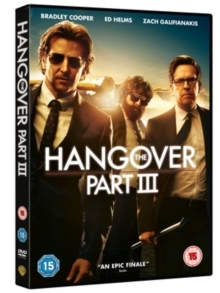 In 'The Hangover: Part 2' (2011), Alan, Doug, Phil and Stu jet out to Bangkok for Stu's wedding to his Thai girlfriend (Jamie Chung). With the mortifying memories of Doug's bachelor party in Las Vegas forever etched in everyone's minds, Stu decides to play things safe. Surely nothing can go wrong with a sedate pre-wedding brunch... or can it? The supporting cast includes Liam Neeson and Juliette Lewis, while former president Bill Clinton makes a cameo appearance. 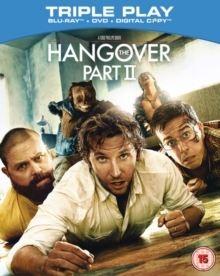 In 'The Hangover: Part 3' (2013), following the death of Alan's father, he, Phil and Stu, aka the Wolfpack, head out on a road trip on which they get caught up in another misadventure, encountering a number of eccentric characters on the way and ending up back in Las Vegas. Bartha, Graham, Ken Jeong and John Goodman co-star, with Mike Tyson also making an appearance.